Throughout the Great Recession, laid-off workers have been trying to improve their re-employment prospects with college training. 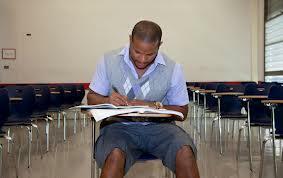 RE-LEARNING: Chad Carroll, 36, needed to take remedial math classes when he enrolled in Miami Dade College. But, once they enroll at their local community colleges, many are finding that that their math, reading and writing skills have atrophied so much they can't continue at the college level without remedial classes. StateImpact Florida and the Florida Center for Investigative Reporting continue their "13th Grade" series today with a look at how older, returning college students are coping with the academic demands, and how that may be straining college budgets and resources. Between 2004 and 2011, according to the StateImpact story, the cost of remedial education to the state grew from $118 million to $168 million as the federal stimulus program increased student financial aid and allowed more and more academically unprepared students to go back to school. How well do the remedial students do? It's hard to tell, but some of the data suggest that taking remedial classes is an early indicator of problems ahead. Statistics on the drop-out rate of older students who require remedial courses are not available. 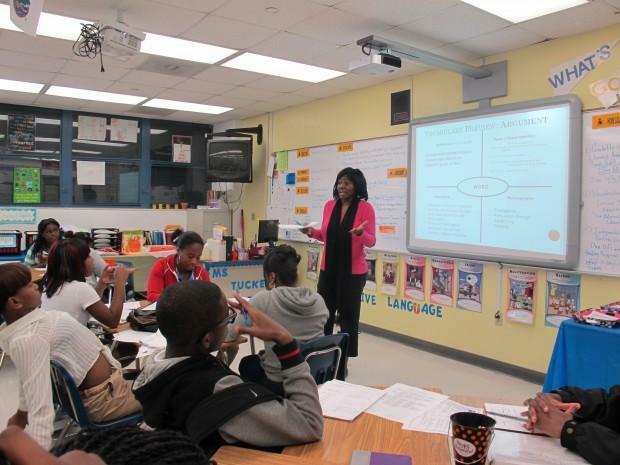 In 2007, Florida’s Office of Program Policy Analysis & Government Accountability reported that 48 percent of all remedial students don’t complete all of their college prep courses, let alone graduate. Anecdotally, instructors say the rate is higher among older students. This is the fifth installment of the "13th Grade" series, which also describes an increasing demand for two-year degrees among the nation's employers and the alluring prospect of much higher salaries for workers with a little more education. Chat online on Wednesday, 12/19 at 4pm with StateImpact Florida's Sarah Gonzalez and the Florida Center for Investigative Reporting's McNelly Torres about the growing need for remedial education. Math was always something of a struggle for Lockett. Still, she got through her high school exit exam with a passing grade and went on to graduate from Coral Gables Senior High School in 2008. She went straight to Miami Dade College. Then, something unexpected happened: She flunked the college placement exams in all three subjects – reading, writing and math.